I read a lot of 19th century newspapers for all kinds of reasons, but this clip from the NYT (November 1885) is a great example of one of the ways I find names. Here we have Giuseppe Giudici who shot and killed Maggiorini Dagahiero, as well as Ling Chun, Ling Yum, Chun Fong and Lung Mow who are all involved in a perjury case. Click for full size. Central Reporter. 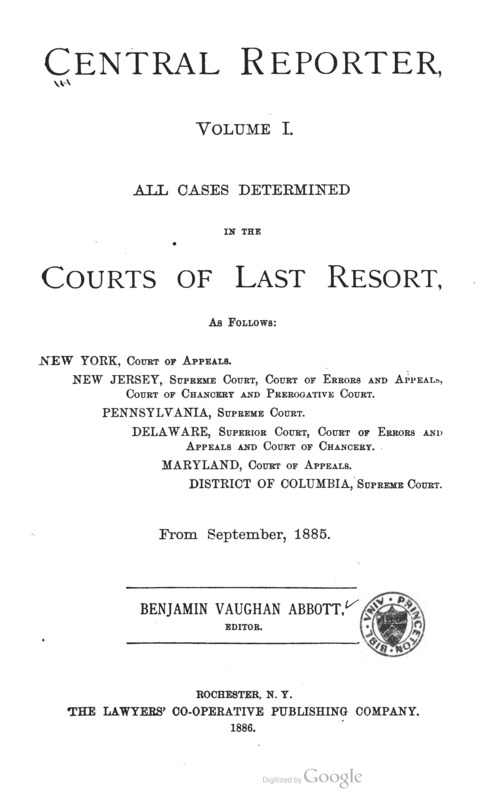 1886 on cases heard in September 1885. A word of warning: even the NYT was really bad at getting the names of immigrants right. Maggiorini Dagahiero strikes me as off, anyway, so I see if I can turn up either half of it elsewhere and find that even mighty Google produces not a single example of the name Dagahiero beyond the one in this very newspaper article. However, Daghiero does come up — in fact, if you search it will bring up a whole story that is in itself interesting. Death penalty cases were appealed, I assume, automatically, as they are today. This publication provides both details of the crime and the legal ruling. Because the book is long out of copyright, you can download the whole pdf through Google Books or archive.org (my preference). I can almost guarantee that if you sit down to skim through a volume like this, you will find many stories waiting to be told, the majority of them tragic in one way or another. Some of them bordering on the farcical. In this case the details just raise more questions, for me at least. I haven’t yet looked into Ling Chun and Ling Yum, but I can predict, based on past experience, that it will be next to impossible to get any details. First, because the crime was minor and didn’t involve bloodshed (newspapers then, as now, subscribed to the ‘if it bleeds it leads’ rule) but also because Asian names were so regularly and extremely mangled. This is a large graphic. Click to open it on another tab, and be patient. Interesting. And I can imagine that pretty much everyone with an ethnic name was mangled by both the press and the courts. It reminds me of the scene in “Godfather 2” where young Vito from Corleone became Vito Corleone instead of Vito Andolini totally on the whim of the admitting clerk. Thank you so much for posting this – It’s so cool to see a little bit into your research and how, if we wish to write, we could get ideas and/or historical names to use. Thank you! I’m so pleased you find it interesting and useful. Thanks for your kind words and support. Previous PostPrevious HRC: Why not.